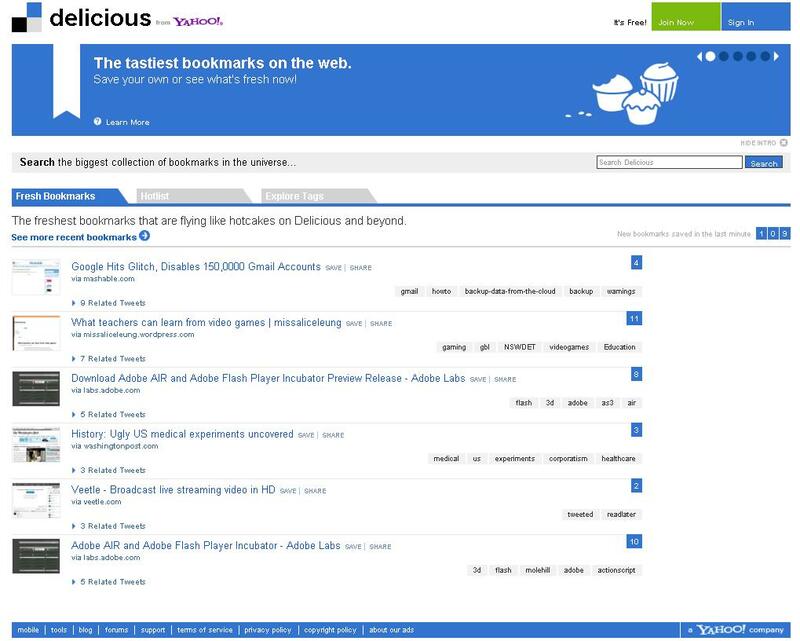 ours.Delicious.com can be used in that case. is a much more flexible system than folders. everyone else has saved – which is made easy with tags. which help to make the website a showcase of Internet trends. scheme, a novel domain name. on storing private (“not shared”) bookmark collections.